Clenbuterol is utilized in the athletic and bodybuilding communities as a fat loss agent. It is not an anabolic steroid. It is more specifically a stimulant, of the sympathomimetic class. This category of drug contains other compounds that are easily recognizable to individuals. These include compounds such as amphetamines, caffeine, ephedrine, albuterol, and even cocaine as well as others too numerous to list. It is a very widespread family and subcategory of drugs where all of these chemical compounds are related to one another. They also possess many of the same biological and pharmacological activity in the body. Clenbuterol imposes its effects on the central nervous system of the human body, specifically with adrenoreceptors. These are receptors that are spread throughout many tissues in the body. Upon binding to these receptors, Clenbuterol initiates its effects that manifest themselves differently depending on the tissues and cell types in question throughout the body. The main area of interest here is, of course, its effect on fat tissue (also known as adipose tissue). As far as Clenbuterol’s targets are concerned – adrenoreceptors – there are two distinct types (alpha and beta), and approximately 9 subtypes within those two. They are designated as alpha-1, alpha-2, beta-1, beta-2, and so on and so forth. Clenbuterol differs from other sympathomimetic stimulants in that it tends to focus a little more on and target certain receptors and their subtypes more, generating an emphasized effect in certain areas. Clenbuterol tends to target beta-2 receptors the most, hence it always being referred to as a ‘beta-2 receptor agonist’. Fat tissue contains a particular abundance of beta-2 receptors, and so this is why Clenbuterol is more effective in the area of fat loss compared to other stimulants. It is here where upon stimulation of the beta-2 receptors in fat tissue, Clenbuterol initiates the process known as lipolysis, which is the disassembly (or, breakdown) of fat into free fatty acids. This process is why Clenbuterol has found popularity among athletes as well as in the entertainment industry where celebrities, models, and actors turn to it in the interest of a boost in fat loss. Where Clenbuterol’s medical applications are concerned, it is used as a prescription drug in the treatment of conditions such as asthma. This is due to its ability to stimulate receptors in the bronchial pathway that result in the dilation and opening of the bronchial tubes in tissues and areas such as the lungs, throat, nose, etc. In this medical application, Clenbuterol is most commonly administered in the form of an inhaler. Clenbuterol’s origins as an asthma medication and bronchial dilator are of European origin. In North America, Clenbuterol is not as common as the active ingredient in asthma inhalers and instead its sibling compound Albuterol is used. Clenbuterol has also found use in other medical applications, such as hypertension, cardiovascular slowdown, cardiovascular shock, arrythmias of the heart, migraine headaches, allergic reactions, inflammation/swelling, as an antihistamine, and for treating cases of anaphylactic shock. Clenbuterol does not just solely stimulate beta-2 receptors. It does interact with and stimulate other receptors, but its affinity tends to be more so on the beta-2 receptors. Ephedrine, a compound in the same family, stimulates many different beta as well as alpha receptors without as much emphasis on one or the other like Clenbuterol. Clenbuterol has also been toted as being anabolic in regards to muscle tissue. This has been determined to be true, but in animal models as opposed to human models, and human studies have furthermore indicated that long-term periods of use are required in order to even begin seeing any anabolic effects. As with all stimulants and sympathomimetics, consistent use of Clenbuterol results in the downregulation of beta-2 receptors, generating a build-up of what is commonly called a tolerance. This tolerance as it pertains to Clenbuterol seems to generate fairly rapidly. The end result of this build-up in tolerance as a result of receptor downregulation is a reduction in its fat loss effect, and if use is consistently continued, will grind to a complete halt. There are traditionally two different ways to reduce or avoid this build-up of tolerance. The first being time off from Clenbuterol use, otherwise known as a cycle of 2 weeks on followed by 2 weeks off Clenbuterol. The second method is to concurrently utilize a drug known as Ketotifen Fumarate, which is marketed in Europe as an anti-histamine drug that has been shown to up-regulate beta-2 receptors. Because Ketotifen Fumarate is marketed as an antihistamine medication, a rumor has become quite popular that the antihistamine drug known as Benadryl can have the same effects. This has been found to be completely false, as Benadryl does not operate via the same mechanisms as Ketotifen and is completely different. Clenbuterol is completely void of any and all side effects that are associated with anabolic steroids, because Clenbuterol is not an anabolic steroid. Rather, Clenbuterol’s side effect profile is very similar to those of any stimulants. It carries with it very similar side effects to compounds like caffeine or ephedrine. It also carries with it some side effects that are unique and not shared with any other stimulants. One very unique side effect of Clenbuterol are muscle cramps. This is also experienced with the use of Clenbuterol’s sibling compounds, such as Albuterol. This is the result of Clenbuterol depleting levels of the amino acid taurine in muscle tissue in the body. According to studies, Clenbuterol causes depletions of taurine in muscle as well as in blood plasma. The reason for the cramps is because ultimately taurine plays a key role in the facilitation and regulation of electrical impulses that control and regulate muscle contraction. Other minerals and compounds play a role in this as well, such as magnesium, sodium, and potassium. Once taurine levels drop below a certain point, involuntary muscle contractions occur that can frequently be very painful and intense, resulting in cramping. Supplementing with taurine in the range of 2.5 – 5 grams every day can reduce or eliminate this side effect from occurring. As Clenbuterol is a stimulant, it is known to be quite hard on cardiovascular tissues and the whole cardiovascular system as a whole. However, some studies have demonstrated that Clenbuterol has been able to facilitate muscle anabolism and cardiac recovery in those suffering from chronic heart failure, with high doses. The doses used in these studies would, however, be considered of an alarmingly high amount and is in no way recommended for any person in any circumstance. 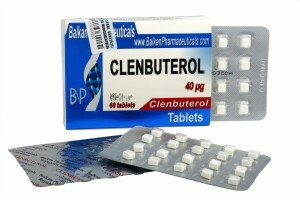 Clenbuterol use also carries with it a risk of myocardial ischemia, which is defined by insufficient blood supply to the heart due to arterial vasoconstriction due to Clenbuterol use. A rat study also unveiled an alarming observation of myotoxic effects, and although the conditions and doses in this study would be regarded as extremely excessive, it still outlines a concern with Clenbuterol use. Overall, the majority of undesirable effects as a result of Clenbuterol are those of cardiac hypertrophy, ventricular enlargement, and necrosis of cardiac tissue. 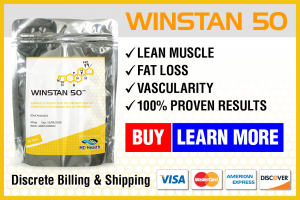 It is quite clear that even as a stimulant alone, much less the results of these studies, Clenbuterol imposes a great deal of excess strain on the human body’s cardiovascular system, and at the end of the day it is indeed a concern to be mindful of. Other frequently reported side effects from Clenbuterol include tremors, the inability to sleep (insomnia), excessive perspiration and sweating, elevated blood pressure (and headaches as a result), and nausea. Some individuals have also reported experiencing allergic reactions to Clenbuterol use, such as redness of the skin, rashes, and/or hives. Within the realm of medicine for treating asthmatic patients and conditions, Clenbuterol in its oral form is administered in dosages of around 20 – 40mcg daily. For experiencing a boost in fat loss, users should slowly ramp up their dosages (also known as titrating) upwards of 120 – 160mcg daily. Women, due to their smaller size, stature, and weight, would probably do well with a lower peak dosage of 80 – 100mcg per day. It is important to titrate the Clenbuterol dose slowly upwards towards the peak dosages listed above. An example of this would be an individual starting out at 40mcg per day for the first 3 days of use. On day 4, the individual would then add 20mcg on top of that, for a new total of 60mcg daily. They would maintain this for another 3 days until such time as they feel comfortable enough to increase the dosage by another 20mcg, and the cycle continues. Some may find they can increase their dosage quicker than others, and some might have to do so much slower due to individual sensitivities and tolerances. When halting Clenbuterol use, there is no requirement to ramp down the daily dosage, but some individuals have preferred to do so regardless. Clenbuterol possesses a half-life in the body of around 37 hours, and therefore all administration of the drug should be done early in the mornings upon waking up. Because of the long half-life, there is also no need to space out administration of the drug throughout the day, and this practice is in fact strongly discouraged due to the stimulating effects of Clenbuterol tending to cause sleep disruptions and insomnia. Clenbuterol is almost always used during periods of fat loss, such as cutting phases, pre-contest periods, etc. Very few individuals use Clenbuterol during the off-season period, and even fewer utilize it during bulking cycles, though some may do this due to the perception that it may stave off some fat gain during high-calorie intake periods when trying to bulk. This practice is often viewed upon as a complete waste of effort, energy, and money. This is because biologically, Clenbuterol does not even allow for this process during a caloric surplus. Clenbuterol initiates lipolysis, which is the breakdown of fats into free fatty acids that then circulate the bloodstream. During a caloric deficit, these free fatty acids can then be used and burned off for energy. During a caloric surplus, which is typical when bulking, these free fatty acids are no longer a preferred source of energy due to an abundance of energy resulting from a higher caloric intake, and so these free fatty acids that were previously freed up by Clenbuterol’s actions would be then re-stored as fat tissue. Clenbuterol can either be used on its own or in combination with other compounds, such as anabolic steroids. Whether it is used alone or with anything else does not alter the manner in which Clenbuterol is used and how it is cycled. Clenbuterol, as previously mentioned in this article, can either be utilized in a 2 weeks on followed by 2 weeks off cycle, OR for 8 weeks constantly without breaks so long as the drug Ketotifen Fumarate is used every other week in order to stave off the effects of tolerance buildup. Clenbuterol shouldn’t be used for more than 12 total weeks so as to guarantee the body a rest from this somewhat harsh stimulant. Clenbuterol is literally the number one commonly used fat loss agent in the world, and remains at the top of its popularity. It is therefore very easy to obtain either on the black market, or even legally purchased as a ‘research chemical’. Pharmaceutical grade Clenbuterol can be purchased anywhere from $0.4 – $1.00 per 20mcg tablet, depending on the pharmaceutical manufacturer. Underground products tend to provide Clenbuterol in other concentrations not found among pharmaceutical grade products (i.e. 40mcg, 50mcg, or even 100mcg tablets). Underground Clenbuterol can be found in the price range anywhere from $0.4 – $2.00 per tablet of varying dosages/concentrations. Research grade Clenbuterol is usually in liquid format that is administered either via a spray-pump, measured dropper, or an oral syringe. These products are usually concentrated at 200mcg/ml in a bottle containing 30ml. Each bottle sells for anywhere from $40 – $80 per bottle, depending on the research chemical company. Note that research chemical products, though they are completely legal to purchase and possess, are not for human consumption and are usually labelled as such. Anabolic effects of clenbuterol on skeletal muscle are mediated by beta 2-adrenoceptor activation. Choo JJ, Horan MA, Little RA, Rothwell NJ. Department of Physiological Sciences, University of Manchester Medical School, United Kingdom. Am J Physiol. 1992 Jul;263(1 Pt 1):E50-6. Effect of dietary clenbuterol and cimaterol on muscle composition, beta-adrenergic and androgen receptor concentrations in broiler chickens. Schiavone A, Tarantola M, Perona G, Pagliasso S, Badino P, Odore R, Cuniberti B, Lussiana C. J Anim Physiol Anim Nutr (Berl). 2004 Apr;88(3-4):94-100. Effects of ketotifen and clenbuterol on beta-adrenergic receptor functions of lymphocytes and on plasma TXB-2 levels of asthmatic patients. Huszar E, Herjavecz I, Boszormenyi-Nagy G, Slapke J, Schreiber J, Debreczeni LA. Z Erkr Atmungsorgane. 1990;175(3):141-6. The effects of the beta 2-agonist drug clenbuterol on taurine levels in heart and other tissues in the rat. Amino Acids. Doheny MH, Waterfield CJ, Timbrell JA. 1998;15(1-2):13-25. Effect of treatment with beta-agonists on tissue and urinary taurine levels in rats. Mechanism and implications for protection. Waterfield CJ, Carvalho F, Timbrell JA. Adv Exp Med Biol. 1996;403:233-45. Clenbuterol increases lean muscle mass but not endurance in patients with chronic heart failure. Kamalakkannan G, Petrilli CM, George I, LaManca J, McLaughlin BT, Shane E, Mancini DM, Maybaum S. J Heart Lung Transplant. 2008 Apr;27(4):457-61. doi: 10.1016/j.healun.2008.01.013. Effect of clenbuterol on cardiac and skeletal muscle function during left ventricular assist device support. George I, Xydas S, Mancini DM, Lamanca J, DiTullio M, Marboe CC, Shane E, Schulman AR, Colley PM, Petrilli CM, Naka Y, Oz MC, Maybaum S. J Heart Lung Transplant. 2006 Sep;25(9):1084-90. Myocardial Ischemia Associated with Clenbuterol Abuse: Report of Two Cases. J Emerg Med. 2012 May 24. Huckins DS, Lemons MF. Department of Emergency Medicine, Newton-Wellesley Hospital, Newton, Massachusetts. Myotoxic effects of clenbuterol in the rat heart and soleus muscle. Journal of Applied Physiology, 22 February 2002. Jatin G. Burniston, Yeelan Ng, William A. Clark, John Colyer, Lip-Bun Tan, and David F. Goldspink. Chronic clenbuterol administration negatively alters cardiac function. Sleeper MM, Kearns CF, McKeever KH. Med Sci Sports Exerc. 2002 Apr;34(4):643-50.